All the St. Patrick’s Day posts and seeing green everywhere today may have you thinking of far off destinations, a trip to Ireland, or even thinking about how you can bring some more green into your life. Today isn’t the only day we have been seeing green this year, it seems to be everywhere. 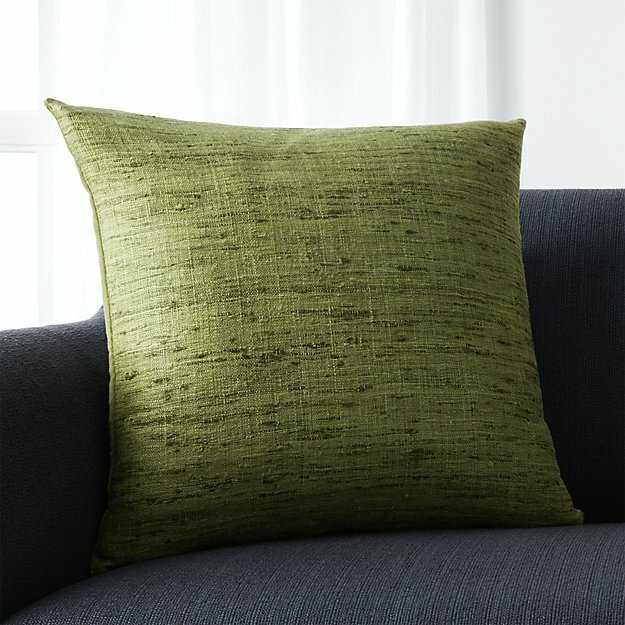 Part of that is because this year the Pantone Color of the Year just happens to be Greenery. 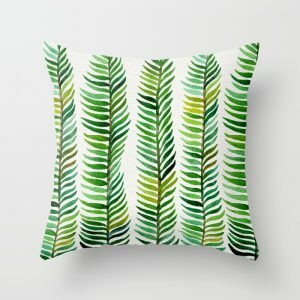 I have seen this as a trend this year and more and more people are wanting to incorporate this color into their décor. I am sure a lot of the east coast is wishing they were seeing more green about now and here in Arizona we pretty much wish we saw more green all the time, as it is usually a sea of beige here. But spring is here in Arizona (although today’s temperatures feel like summer) and we have some green in the desert, wildflowers blooming, and some color we don’t usually see unless it’s on a cactus. Normally we dream to other tropical destinations, all harder to get to, but we can dream. Here in the states I think of Florida when thinking of tropical destination, palm trees, sandy beaches, and relaxation. A great place to escape to and relax. 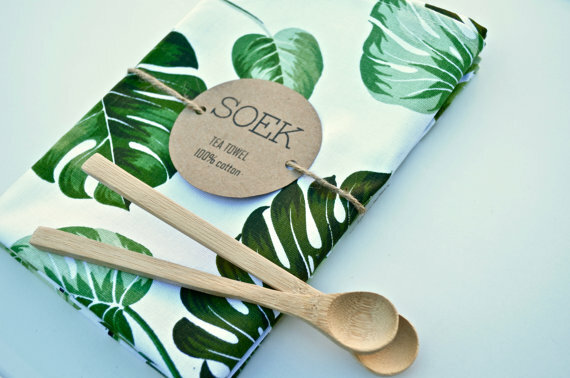 So today we are going to run with the idea of green, the outdoors, bringing it all in and sprucing our interiors up for spring with a little green. Here is an example of how a little change in your color scheme can add a new sense of freshness and life to a space or a design. 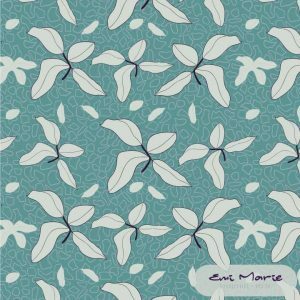 Here is a pattern that is part of a coming collection from Emi Marie Illustration + Design. 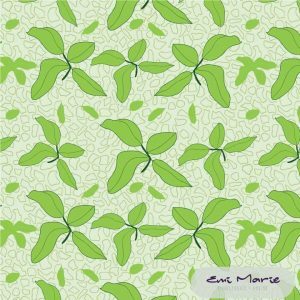 The pattern was originally in a smoky blue and grey palette and was recently recolored using the Pantone Greenery as inspiration. 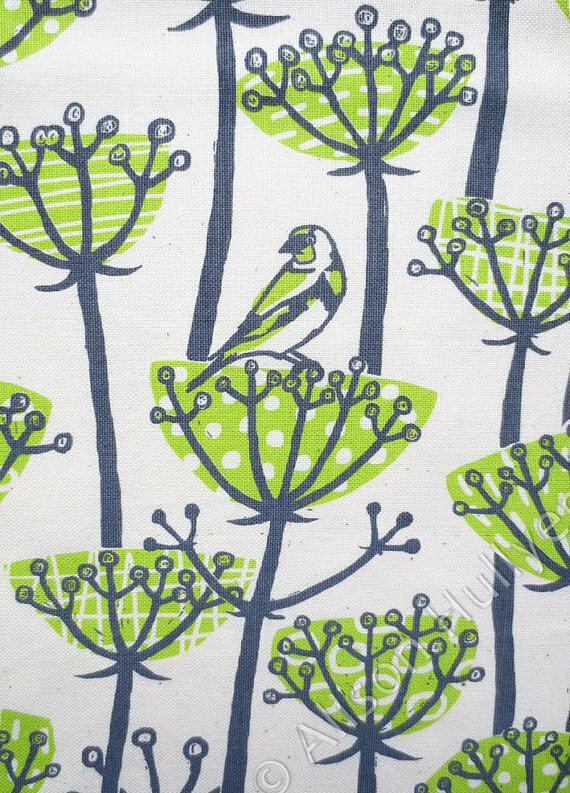 The pattern was instantly updated, made to feel more modern and given fresh new life for new applications. This same theory can apply to your interiors. 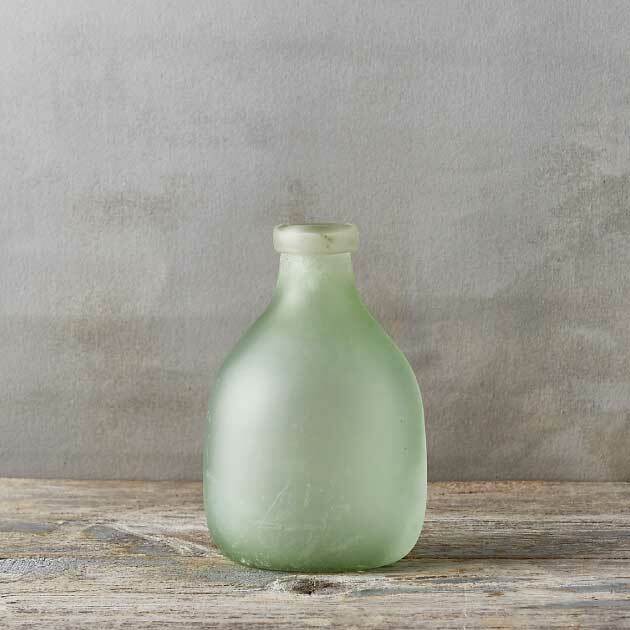 Just by adding a hint of the green you can update your space and breathe some new life into your home for spring. 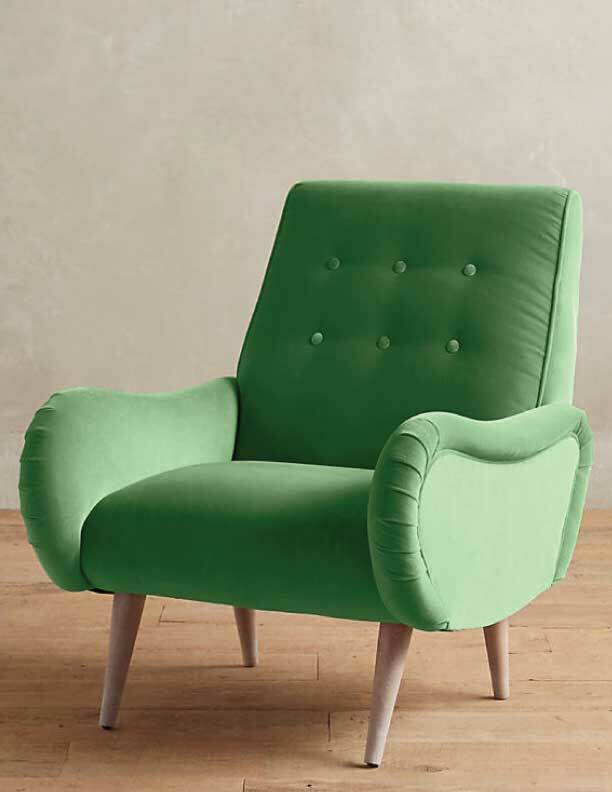 If you want to at some green to your space you could go pick and add an upholstered piece in an eye popping example of the Pantone color of the year, such as this Velvet Losange Chair from Anthropologie. 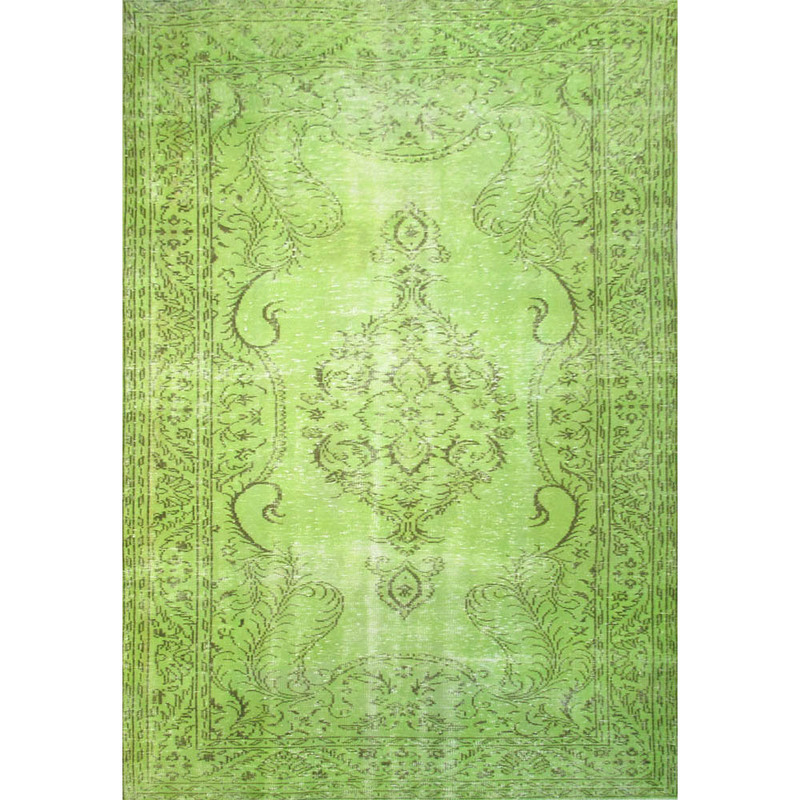 Or add the green to the floor with an eye catching green rug like this one from Organic Looms. Another way to bring the outdoors in is in your art. 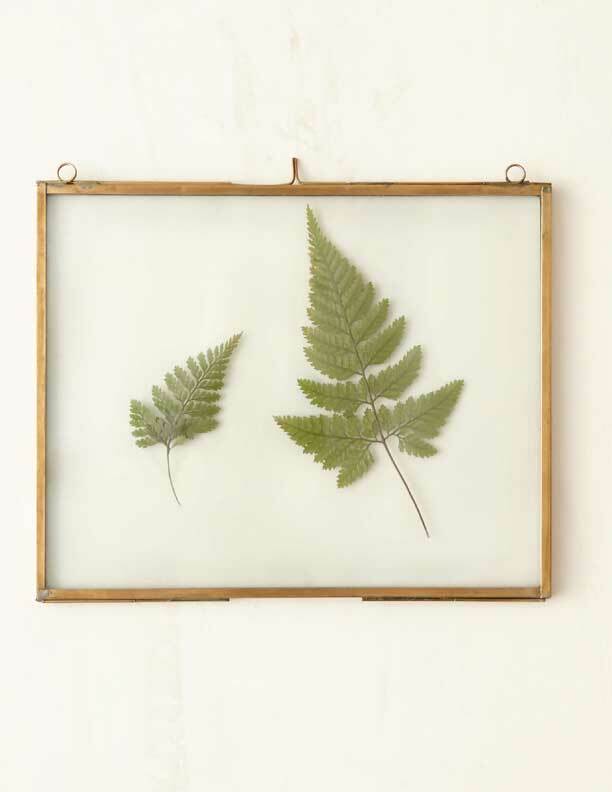 I am loving these leaves pressed between the Brass Specimen Frame from Terrain. Go out into nature and find your own leaves to press and frame. 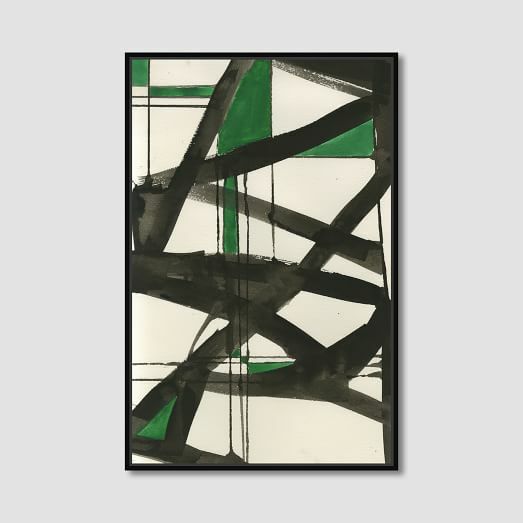 If a subtle hint of green is more your style this abstract print from West Elm is the perfect addition to any modern space. These are two of the rooms you spend a lot of time in, especially if you like to entertain. Go bold and really change your space with a patterned wallpaper that people are sure to notice. 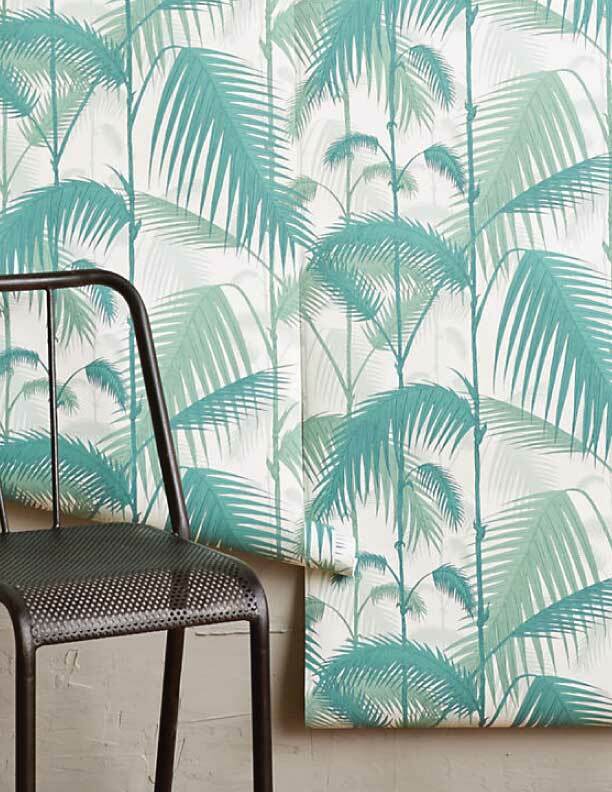 The Fanned Fronds Wallpaper from Anthropologie will add color and interest to a space. 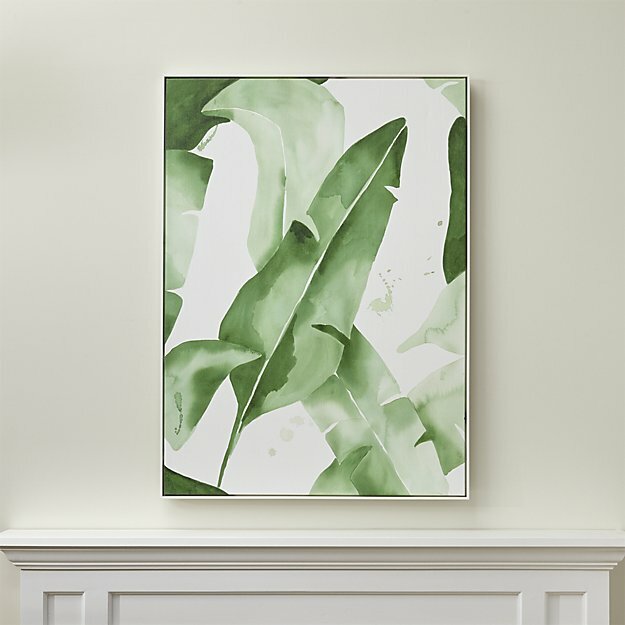 Use it on one wall for a big impact in your dining space or use it all over to add a tropical feel to the space. 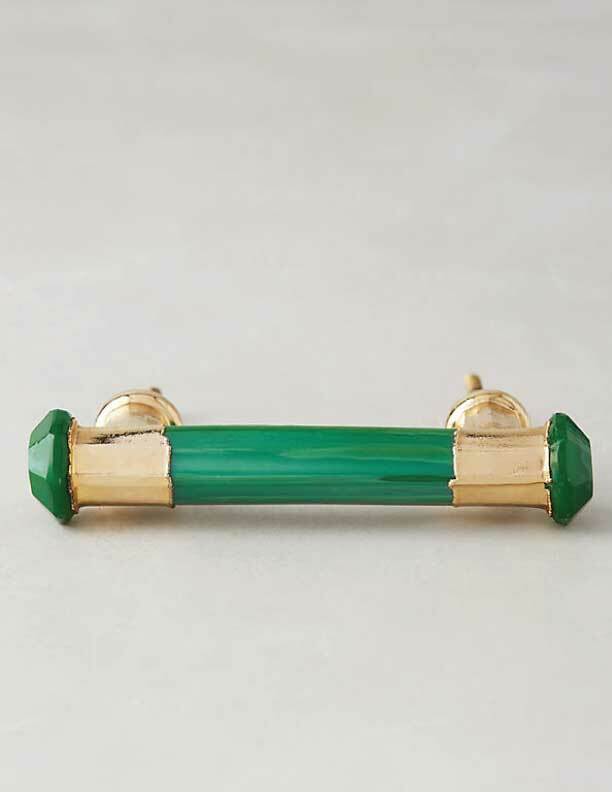 If wallpaper is not your thing try something a little less noticeable by switching out the pulls on your furniture or even your entire kitchen and add a pop of color and a metal accent with the Viridian Handle from Anthropologie. To make them stand out even more, paint your cabinets white and made the pulls the star of the room. 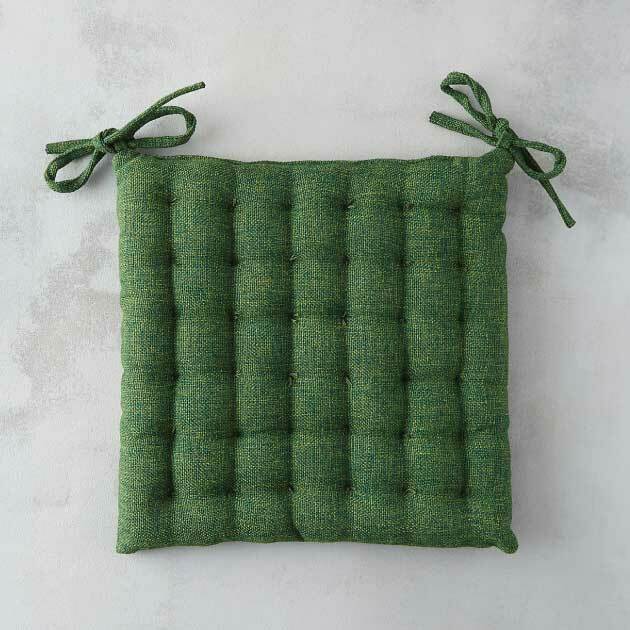 Or add new cushions to your chairs, these would be great outdoors on a patio as well. 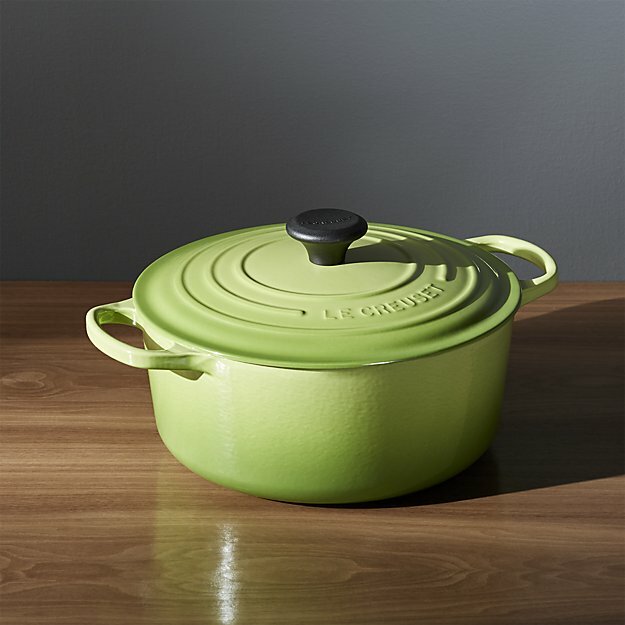 Update your cookware with a brightly colored pot. 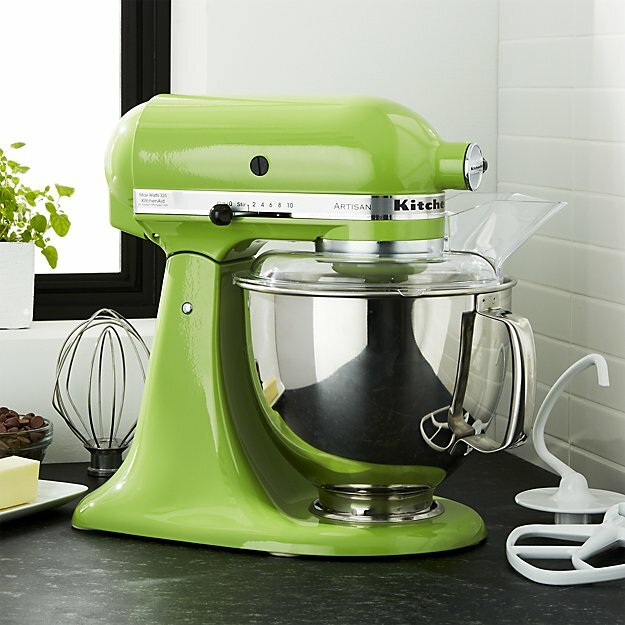 Or if you love to bake choose a Kitchen Aid mixer in a bright shade of green. 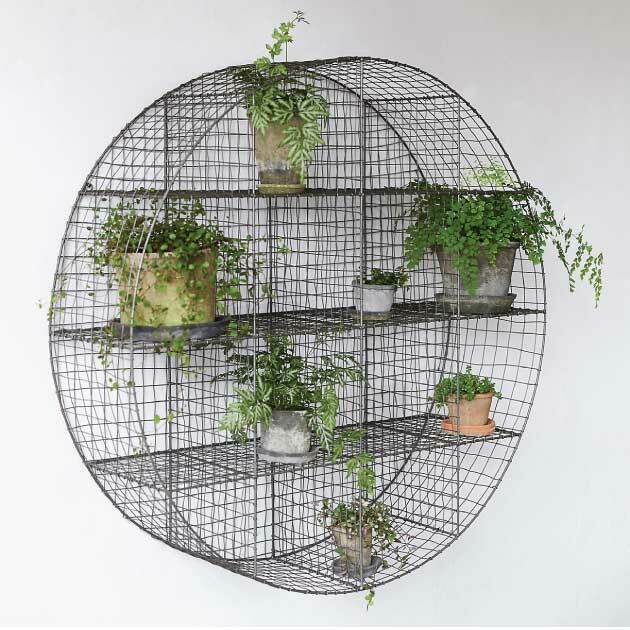 If you have the wall space add this Iron Wire Rack to the wall and fill it with potted herbs to use while cooking. 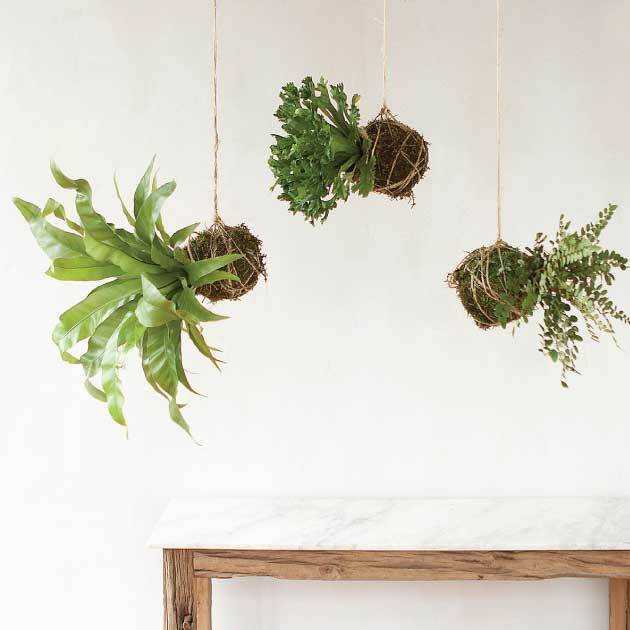 Not only will it bring the outdoors in and add a pop of green to your space, but it will be a functioning indoor garden. 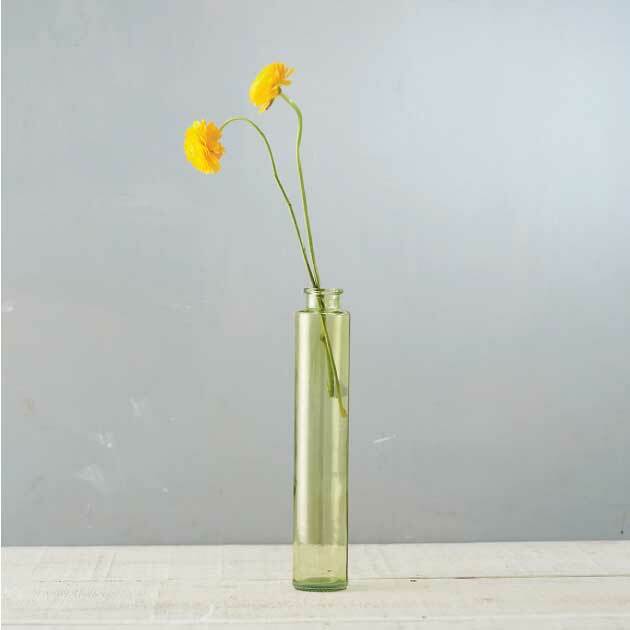 Add some green vases and fill them with brightly colored blooms to add more color to a space that can be changed when the mood strikes by changing the color of the blooms. 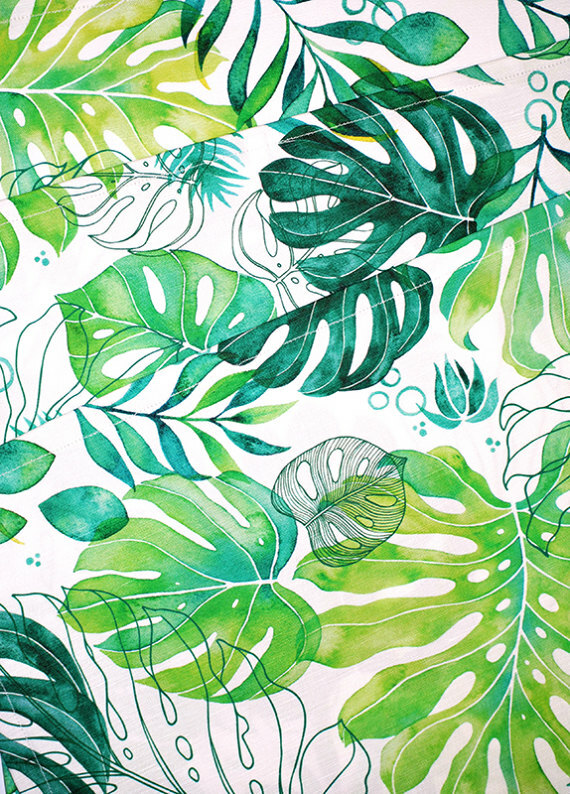 And if all this green and tropical influence has you wishing you were somewhere else, plan a trip or better yet, take the plunge and move somewhere amazing that will have you feeling spring all year long. If you are looking to make the move to our inspiration state of Florida, Douglas Elliman Real Estate can help you find the home of your dreams!